The royal family is having a busy schedule this week. Both Meghan Markle and Kate Middleton attended important state dinners on the same day, but in different countries. The Duchess of Sussex attended a dinner in Fiji, where she and Prince Harry are currently carrying out their royal duties. The mom-to-be looked mesmerizing in a stunning blue dress with a cape. 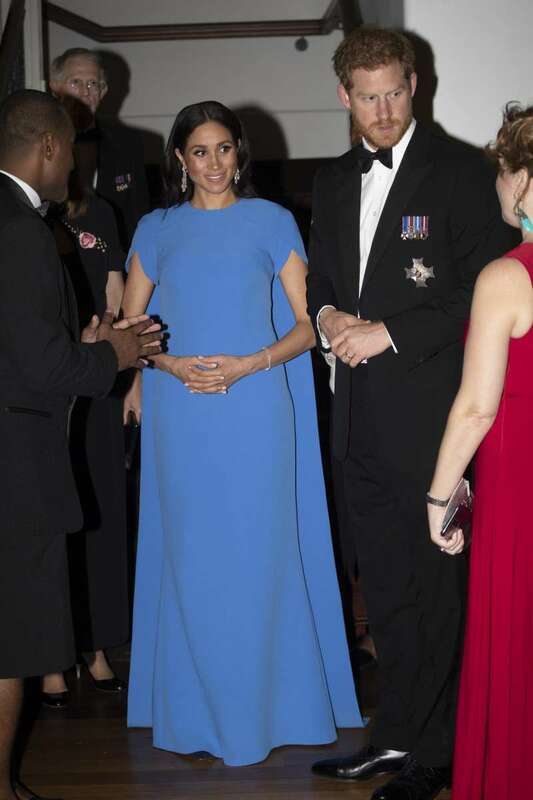 But of course, her best accessory was the growing baby bump. At the same time, the Duchess of Cambridge shined at Buckingham Palace during the Dutch State Banquet in honor of Queen Maxima and King Willem-Alexander. While both ladies looked incredible, the public noticed one major difference about them. State dinners are traditionally reserved for royal ladies to wear luxurious tiaras from the royal collection. 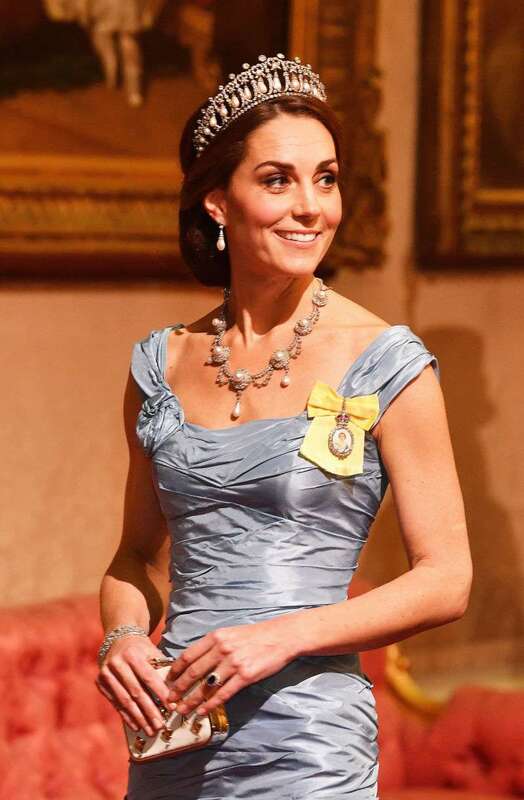 Kate Middleton was glad to oblige and showed up wearing a stunning diamond tiara, which once belonged to Princess Diana. Meghan Markle, however, decided against a tiara for her royal appearance, which puzzled us. Everyone expected to see the Duchess of Sussex to finally wear the jeweled headpiece, but we had another thing coming. The thing is, the opportunity to wear a tiara doesn't depend on the royal status of a woman, it only relies on the royal lady's personal preference and whether the event calls for such an expensive jewelry. 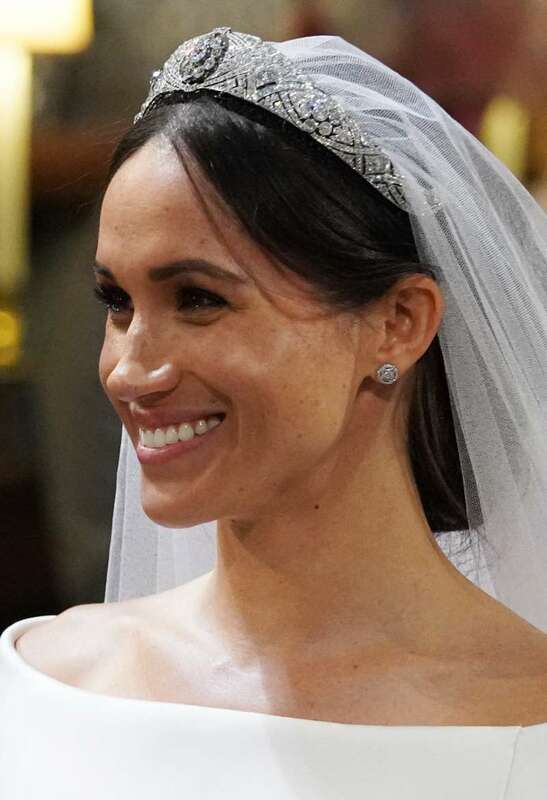 Frankly speaking, it doesn't surprise us that Duchess of Sussex didn't wear a tiara. The last time she wore a headpiece from the royal collection was at her wedding, so maybe she's saving her next time for something special. Also, Meghan might be still adjusting to the royal life and doesn't feel comfortable with diamonds on her head.